Former Vice President Joe Biden spoke out moments ago in a video he released to his Twitter followers this afternoon. Biden, who has had multiple women come forward over the last week and a half, and state that his actions in the past had made them uncomfortable, has sill not officially entered the 2020 Presidential race. 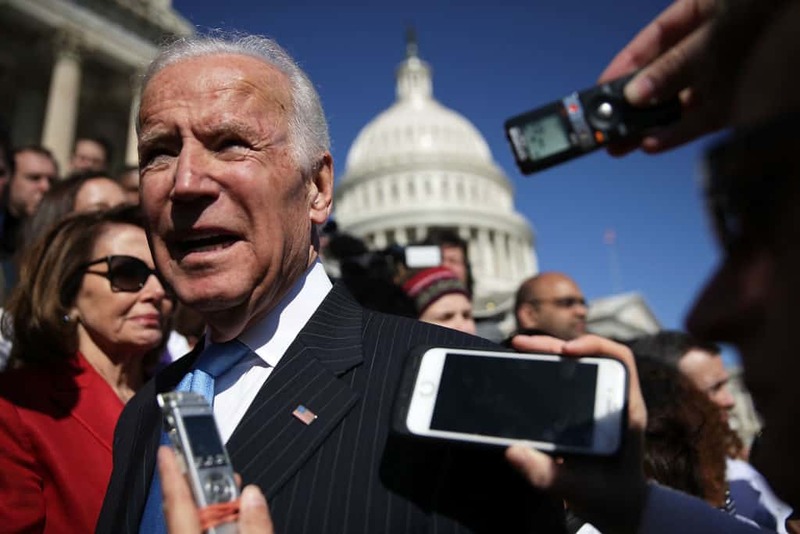 With that said, Biden has not only been expected to enter, but according to many polls he would be one of the favorites to win the Democratic nomination in 2020. In the short video, which you can see below, the former vice president addressed the allegations head-on with a promise to learn from the words of those women speaking out. In the coming months, I expect to be talking to you about a whole lot of issues, and I’ll always be direct with you. But today I want to talk about gestures of support and encouragement that I’ve made to women and some men, and made them uncomfortable. In my career, I’ve always tried to make a human connection, and that’s my responsibility I think. I shake hands. I hug people. I grab men and women by the shoulders and say ‘you can do this.’ Whether they are women, men, young, old, it’s the way I’ve always been. It’s the way I try to show I care about them and I’m listening. Over the years, knowing what I’ve been through — the things that I’ve faced — I’ve found that scores, if not hundreds of people have come up to me and reached out for solace and comfort — something, anything that may help them go through the tragedy that they’re going through. It’s just who I am. I’ve never thought of politics as cold and as septic. I’ve always thought it was about connecting with people and like I said, shaking hands, hands on the shoulder, a hug, encouragement. Now it’s all about taking selfies together. Social norms have began to change. They’ve shifted and the boundaries about protecting personal space have been reset, and I get it. I get it. I hear what they are saying. I understand it, and I’ll be much more mindful. That’s my responsibility. But I’ll always believe that governing — life for that matter — is about connecting. About connecting with people. That won’t change, but I will be more mindful and respectful with people’s personal space. And that’s a good thing. That’s a good thing. I worked my whole life to empower women. So the idea that I can’t adjust to the fact that personal space is important, more important than it’s ever been, is just not thinkable. I will. I will.